Posted: Tuesday, March 29, 2016. 7:24 pm CST. By BBN Staff: Police officers responding to reports of a fight in Trial Farm Village, Orange Walk District on Sunday night, saw the badly beaten and stabbed body of 18-year-old Luis Fernando Lopez upon their arrival at the scene. 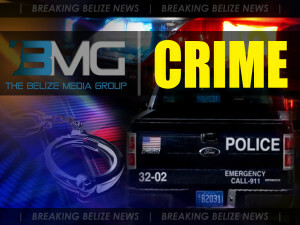 At 8:35 p.m., Lopez was discovered on Mahogany Street in the mentioned village, from where he was then transported to the Northern Regional Hospital to be treated for head trauma, a broken right rib, a stab wound and a broken jaw. Lopez was later transferred to the Karl Heusner Memorial Hospital for further treatment, where he remains in a critical condition. Police have since detained 21-year-old Freddy Quintero who is also a resident of Trial Farm and is pending charges.